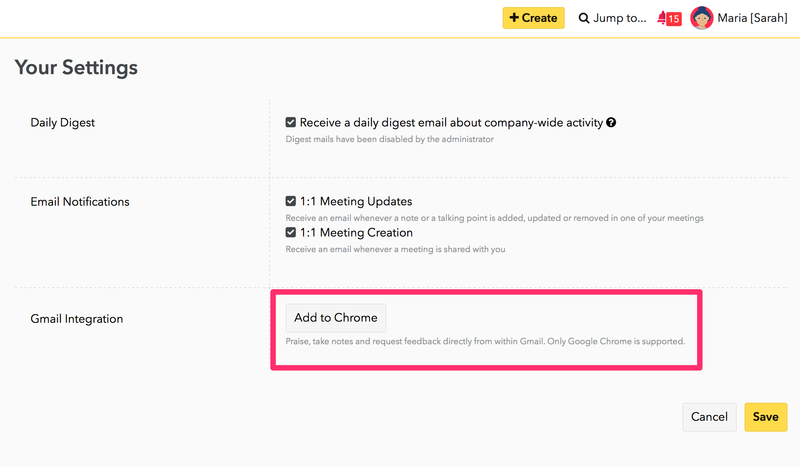 Our new Gmail Integration beta feature for Google Chrome allows you to take a note, send praise, or request feedback while viewing a received email. 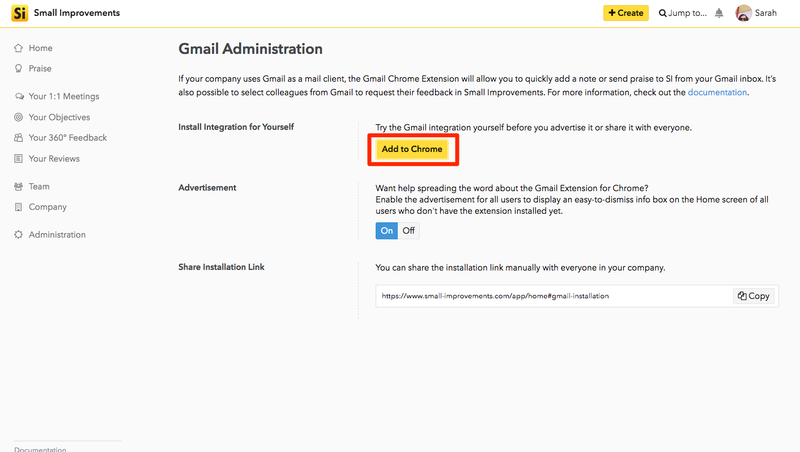 With quick and easy installation, you'll be able to start using Small Improvements with Gmail in no time. The new Gmail integration with Small Improvements is a way to quickly send praise, take a private note, and request feedback. Please note that the private note, praise, and request feedback features must be enabled by your administrator in Small Improvements before you can use them in Gmail. Not all features are active if they are not activated in your Small Improvements account. Learn more, here. You'll be to spread the word within your organization by sharing to the link to the rest of your employees. Once installed, you'll be redirected to Gmail to continue setup. 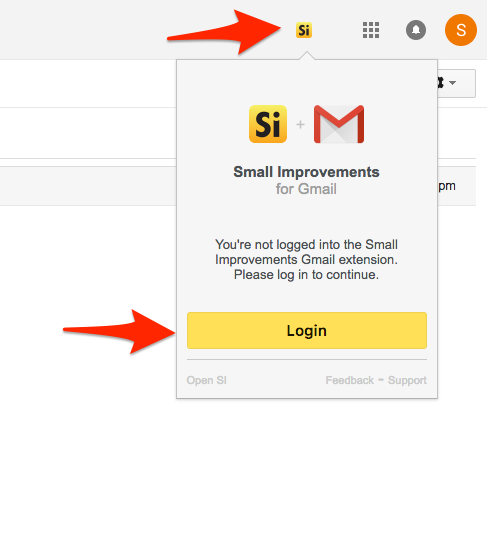 You'll now see the Small Improvements logo in the top right hand corner along with your other Gmail options. 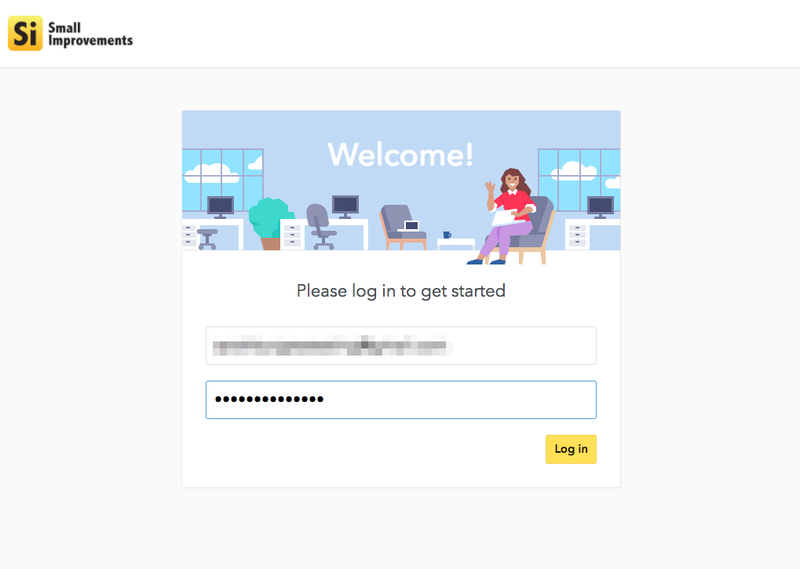 Click on "Login" to be prompted with a new pop-up screen in Chrome asking you to login to your Small Improvements account. Enter your email and password. 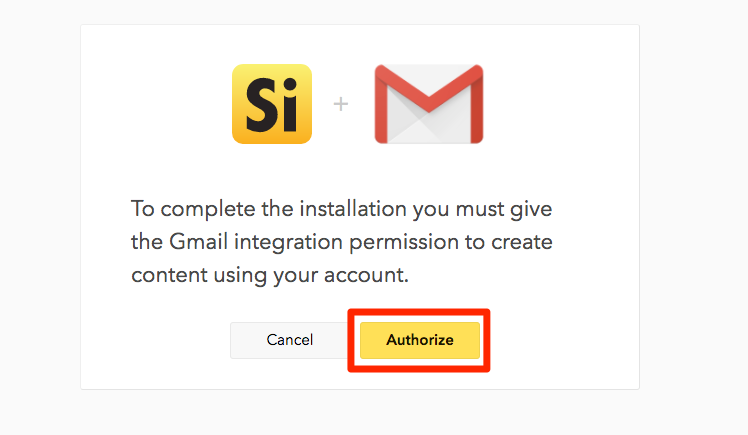 Next, you'll be asked to authorize permissions for the integration so you can create content in Small Improvements. Follow the prompts, as shown below. 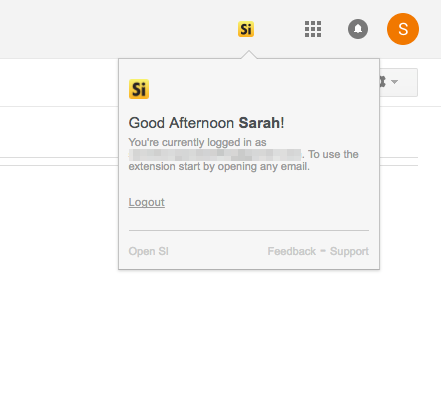 Once successfully logged in and enabled, you'll see a success message in the SI widget on the top right hand corner. You can send Praise to coworkers directly in Gmail, after opening an email you've received. You'll see the option to create Praise on the right hand side of your screen. You can take a private note about a specific coworker, or groups of people. Use the widget option "Take Private Note"
Select who the note is about. Please note this note will not be visible to these coworkers, just yourself. Enter details, make your coworker's day! 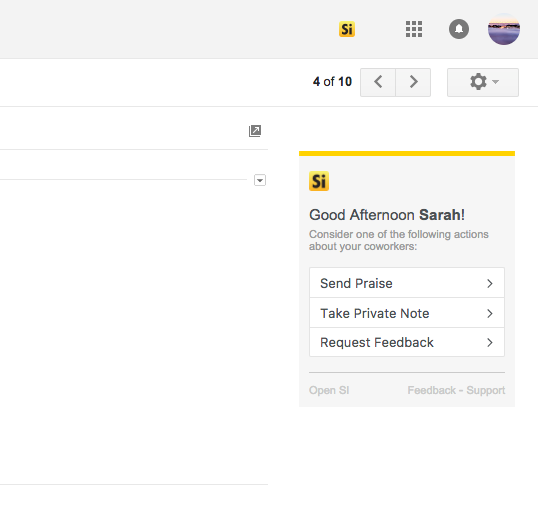 You can request feedback from coworkers directly in Gmail using the integration. In Small Improvements you'll now see the beginning of your new cycle and have the option to further setup your request feedback. We have a helpful guide to setting up these cycles, here. How do I remove this integration from my browser? To remove the integration, you'll need to uninstall the Extension. Next to the Small Improvements extension you want to remove, click Remove or the trash can icon.